A friend of ours, Ellen Watson, will be joining us as a visiting practitioner the month of January. Ellen is a senior instructor in Esalen Massage, an art form that has evolved over the last 50 years at Esalen Institute in Big Sur, CA. She founded Moving Ventures in 1996, a 501c3 dedicated to offering education to women in developing countries. If there is any ONE reason for you to use essential oils every day, it can be summed up in one word...OXYGEN! Essential oils are loaded (concentrated) with it, at least 50 times more oxygen than what the plants give off from which they are derived. While essential oils may contain hundreds of different elements, three primary elements common to all oils are hydrogen, carbon and OXYGEN. So each time you inhale essential oils or apply them to your body, you are enriching your body with needed oxygen to purge toxins and fight off disease causing pathogens. This is why the use of essential oils on a daily basis can help you develop a superior immune system, and why people who use the oils (several times daily) seldom experience illness and disease. One of the incredible aspects of essential oils is their ability to penetrate and carry nutrients through the cell wall to the cell nucleolus. Dr. Radwan Farag, Ph.D., head of the bio- chemistry department at Cairo University is the man accredited for documenting the oxygenating and antioxidant activity essential oils afford. When the viscosity of blood is reduced, its velocity increases. By increasing its velocity, our blood is able to deliver greater amounts of oxygen to tissues. When essential oils are introduced to the blood stream, they increase circulation, thereby increasing oxygenation. As the blood delivers nutrients and oxygen to the cells for feeding, it is the oxygenating molecules that penetrate and carry nutrients through the cell wall to the cell nucleolus for feeding and oxidation. As the body grows oxygen deficient, individual cells begin to suffer. Without adequate oxygen, cells become nutritionally starved and become a garbage pit for waste and toxins, Deprived of nutrition, the cell protects itself by thickening its outer wall...making nutrient delivery even more difficult. This in turn causes cell deterioration, which can lead to cell mutation. It is in this state that the body becomes a host for disease causing pathogens. Due to their high oxygen content, essential oils are nature’s most effective catalyst and delivery agent for feeding cells. Rich in oxygen, they pass through the thickest cell walls with the greatest of ease (to maintain or begin a restorative process). Disease cannot exist in an oxygen rich environment. Oxygen is needed for assimilation. Oxygen is the delivery agent which carries the nutrients in the blood. In order for cells to take on nutrients, the nutrients have to be able to pass through the cell wall in order to get to the nucleus where assimilation takes place, The cell wall begins to mutate (harden) with as little as 1% drop in oxygen in the serum around the cell. There are 5 stages of mutation leading to the development of degenerative diseases. Heather A. Howell, Seeking Indigo's Essential Oil Mix Master and Aroma Alchemist, is now available for private consultations consultations to custom blend a remedy to assist you with all your needs. Call or stop in to schedule an appointment today and start benefiting from natures healing remedies. Fall and Winter is the perfect time to shed your summer skin. Enjoy new skin in just 5 days with the Revolutionary Green Peel. -Successfully proven for over 50 years. Free Consultations with Elizabeth Shealy Tuesday and Thursdays by appointment! New day for Restorative Yoga at Seeking Indigo - Every Tuesday morning! Come join us every Tuesday morning from 9 - 10 am with Donna Marguglio for a yoga class that will restore your body, refresh your mind, and fill your heart with warmth. Whether you are new to yoga or you are an experienced yogi, this class is appropriate for anyone who wants to feel elevated. To enhance your fitness and wellness regime, Seeking Indigo offers a one of a kind migun massage experience under the Jogolo. SI migun massage is based on the principles of acupuncture and chiropractics. The SI Migun thermal massage tables use a combination of acupressure and heat therapy along the main energy pathways of the body to relax muscles and enhance circulation while restoring balance to body and mind. The SI migun experience incorporates the fundamentals of Eastern medicine and the body's natural healing capabilities. Jade massage heads heated with far infrared light roll under the body along the meridians to increase flexibility of the spine and encourage proper alignment of the vertebrae. As your body is allowed to heal itself, you experience Holosych, our cutting edge sound technology that allows one to transcend to a meditative state. Buy any 2 services at Seeking Indigo and receive a free Migun Massage experience for free. I am honored and proud to say that I was invited to host the first two Workshops at Seeking Indigo! 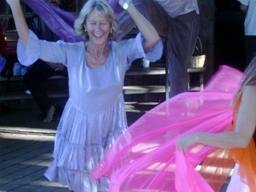 As many of you know who have attended the Wellness Sampler, the place is just magical for a group setting. Several local Charlestonian's attended Heal Your Heart and Attract True Love. Both evenings were insightful and transformative! Oftentimes, we don't realize that we hold ourselves back from love when we fear getting hurt or when we don't validate our own true worth! Due to the overwhelming response to the Workshops, two Guided Imagery CDs will be available at SI this month. The first: "Healing Lost Love" is a beautiful imagery that guides you to rescue the part of you that you may have lost in a relationship break up. The second CD called "Attract True Love" will help you to clear old negative beliefs about yourself and what you deserve and to become a positive point of attraction for LOVE! Both CDs are available for $20 a piece. They are like having your own private hypnotherapy session at home! Enjoy!